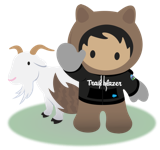 Partner Community Office Hours are open to AppExchange Partners (ISV), Consulting Partners (SI), and Resellers with questions about the Salesforce Partner Program. Join a Salesforce panel of experts to get help with your questions. ​Partner Community Office Hours are typically held every other Tuesday at 9:00am to 10:00am Pacific, unless noted otherwise on the Partner Community Calendar. See all of our office hours at http://p.force.com/officehours.